When the rule of law no longer applies, the rule of men takes over. That certainly seems like what is happening in Washington today as the U.S. Senate puts the finishing touches on a defense reauthorization bill that would allow the military to detain and incarcerate indefinitely without trial or charge American citizens as terrorism suspects, even when arrested on U.S. soil. Barack Obama, who pledged as a candidate for the presidency to close down Guantanamo Bay as a holding facility for enemy combatants captured on foreign battlefields, now says he supports the legislation, which gives him the absolute power to ship off Americans to the facility. The action would be the most stark repudiation of the constitutional guarantee of the right to habeas corpus since Abraham Lincoln suspended it during the War Between the States. It would also violate the Posse Comitatus Act of 1878, which prohibits the Army from being used as a domestic national law enforcement authority. The bill was actually amended to avoid a veto by Obama, who insisted it specifically permit the indefinite detainment of American citizens apprehended on American soil. This draconian legislation could become another of innumerable clearly unconstitutional "laws" in the U.S. as early as today. But opposition is rising on both the left and the right. On the left it is being opposed by the likes of American Civil Liberties Union, Human Rights Watch and Sen. Dianne Feinstein. 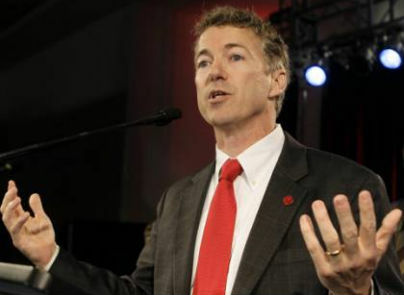 On the right it is being opposed by presidential candidate Ron Paul, Sen. Rand Paul and Sen. Tom Coburn. But it is also being supported by individuals and organizations on the right and left. In other words, it is a bipartisan betrayal of the Constitution, the rule of law and the common-sense, limited-government ideals upon which the country was founded. "It's something so radical that it would have been considered crazy had it been pushed by the Bush administration," said Tom Malinowski of Human Rights Watch, with whom I seldom agree. "It establishes precisely the kind of system that the United States has consistently urged other countries not to adopt. At a time when the United States is urging Egypt, for example, to scrap its emergency law and military courts, this is not consistent." It's not only inconsistent. It's un-American. "We're talking about American citizens who can be taken from the United States and sent to a camp at Guantanamo Bay and held indefinitely," explains Rand Paul. "There are laws on the books right now that characterize who might be a terrorist: someone missing fingers on their hands is a suspect, according to the Department of Justice. Someone who has guns, someone who has ammunition that is weatherproofed, someone who has more than seven days of food in their house can be considered a potential terrorist. If you are suspected because of these activities, do you want the government to have the ability to send you to Guantanamo Bay for indefinite detention?" If it does happen to you, would it be comforting to know that your fate is in the hands of one man – Barack Obama? He and he alone, under the legislation, would hold the power to set you free. In fact, it was that amendment to the bill that Obama sought before he was willing to support the law. How bad is this bill? Even FBI Director Robert Mueller fought it – saying it was unnecessary and would actually result in botched investigations, fewer prosecutions of actual terrorists and less reliable information that will be pried loose from suspects. The FBI didn't ask for it. The military didn't ask for it. This shining jewel of unconstitutionality was dreamed up by politicians who can't balance the budget, can't stop borrowing and can't agree on much of anything except grabbing more and more power in Washington.